We are reputed manufacturers and exporters of pipe & pipefittings that are designed in line with the international quality standards. 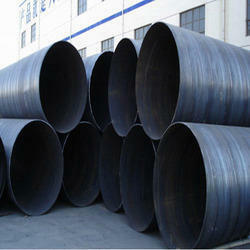 These include spiral pipes and PVC pipefittings and HDPE pipefittings. Available in various technical specifications, these pipe and pipefittings are known for enhanced durability, longer functional life and easy installation. We are leading manufacturers and exporters of Spiral Welded Pipes, PVC Pipes, PVC Pipe Fitting, FRP Pipe Fittings, HDPE Pipe Fittings and Teflon Pipe Fittings.